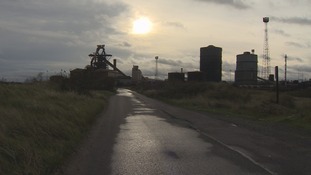 Labour MP Anna Turley has responded to Lord Heseltine's plans to transform the former SSI steelworks site in Redcar. In a statement she said she was pleased the government were progressing on the future of the site, but is yet to see a clear plan. I am pleased the government are progressing on the future of the SSI site and welcome any measures which help our local economy to recover from the loss of steelmaking and job losses in other industries like Boulby Potash. We have the skills, experience and ambition here on Teesside to drive the area forward and it is good that the government recognise the importance of local leadership on this. The short term commitment on securing the site is welcome but we have yet to see a clear plan for cleaning up and whether or not they will take responsibility for the vast cost involved which simply cannot be borne by the local authorities. Along with Labour colleagues on Teesside, our priority is developing a clear economic strategy for the region, building on our existing industrial and manufacturing strengths and crucially attracting the high skilled and high value jobs we need. To deliver this, the Mayoral Development Corporation needs to be backed up with real, tangible powers and funding and not simply be a back-patting exercise by Ministers. Lord Heseltine has revealed plans for a new Mayoral Development Corporation to help regenerate the Tees Valley area. Prince Charles has paid tribute to the "extraordinary resilience" of the people of Teesside, on a visit to Redcar today. 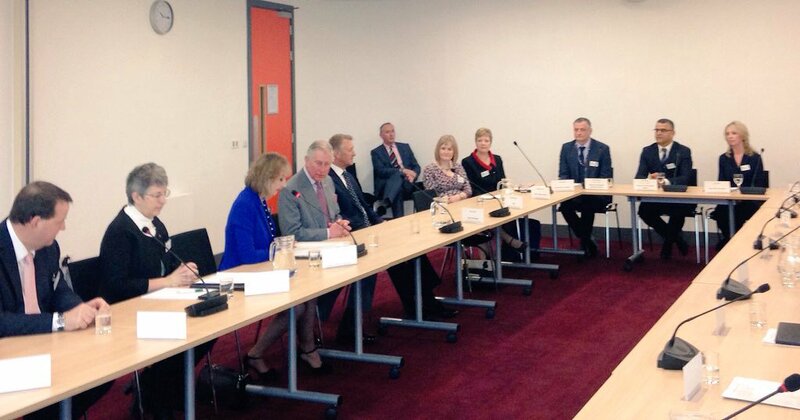 The Prince of Wales attended a meeting of the SSI Task Force, set up after the closure of the town's steelworks last autumn. More than 1,000 former SSI and supply chain workers are now in new jobs or full-time training. The Prince of Wales met one of his biggest fans when he was introduced to a boy who insists on dressing just like him. Six-year-old Benjamin Cooper studied the Royal Family at school and ever since has worn a suit to be just like Charles. The Prince met Ben and his family as he arrived in Redcar for a visit to hear about the closure of the local steel plant. He will meet members of the multi-agency SSI Task Force which was set up afterthe announcement last year that the historic Teesside plant was to shut with the loss of almost 2,000 jobs. Shaking Ben's hand, who was accompanied by his parents, Elaine and Ian, and sister, Eve, the Prince laughed as they explained their son's admiration for him. I like him because he was the smartest dressed when we studied them at school. I like to dress smart so I can be like Charles. Mrs Cooper said Ben had been doing it for 18 months now and even dresses smartly for friends' parties. "The present he asked for was a smart suit so he could be like the Prince," she said. Prince Charles has been in Redcar meeting members of the SSI Task Force which was set up following the closure of the Teeside plant. His Royal Highness, The Prince of Wales, is visiting Redcar to meet with members of the SSI task-force. 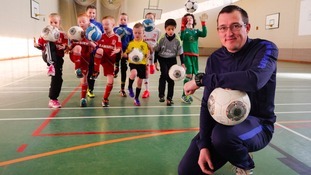 A former SSI Steelworker has set up his own sport coaching business with funding from the SSI Task Force. New figures show nearly a thousand people who worked for companies that supplied the SSI Redcar have been made redundant since it closed. A new programme to help find jobs for steelworkers hit by a wave of redundancies will be chaired by the former deputy prime minister.